Adding traditional arrangements to a contemporary room creates a nice juxtaposition that prevents the mood from feeling too sterile or staged. Placing fluffy, soft colored flowers on top of a more pronounced tray table looks inherently more glamorous than say, a plant with crisp lines and dark coloring. You can really enhance a two-tone room with an interesting vase and bold flower. 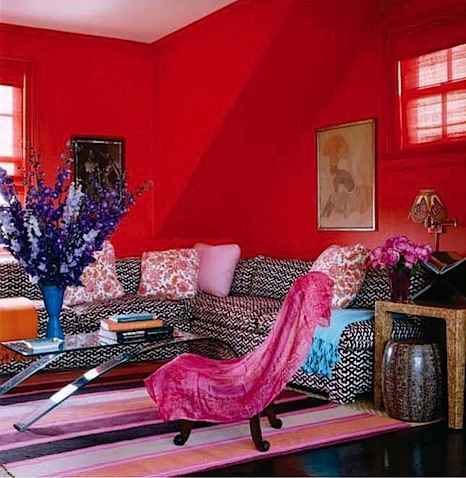 Something this ephemeral is easy for color commitment-phobes to bounce between different combinations. You can think of accessorizing with Flowers as you would with jewelry. Both should naturally enhance different aspects of the appearance without overwhelming or clashing with it.